Understand business requirements and convert them into solution designs Architecture, Design and Development of Big Data data Lake Platform. Understand the functional and non-functional requirements in the solution and mentor the team with technological expertise and decisions. Produce a detailed functional design document to match customer requirements. Responsible for Preparation, reviewing and owning Technical design documentation. Code reviews, and preparing documents for Big Data applications according to system standards. Conducts peer reviews to ensure consistency, completeness and accuracy of the delivery. Detect, analyse, and remediate performance problems.¿	Evaluates and recommends software and hardware solutions to meet user needs. Responsible for project support, support mentoring, and training for transition to the support team. Share best practices and be consultative to clients throughout duration of the project. Hands on experience in working with Hadoop Distribution platforms like HortonWorks, Cloudera, MapR and others. Take end to end responsibility of the Hadoop Life Cycle in the organization¿ Be the bridge between data scientists, engineers and the organizational needs. 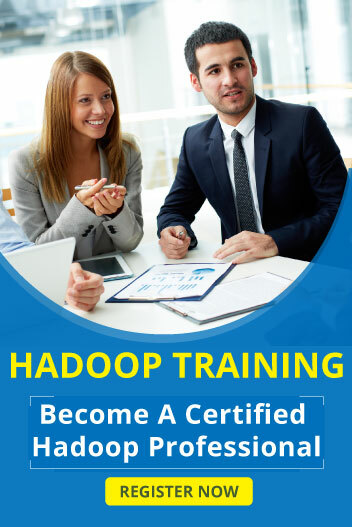 Do in-depth requirement analysis and exclusively choose the work platform.¿	Full knowledge of Hadoop Architecture and HDFS is a must¿	Working knowledge of MapReduce, HBase, Pig, MongoDb, Cassandra, Impala, Oozie , Mahout, Flume, Zookeeper/Sqoop and Hive.